We planned this South Africa Highlights Vacation for some empty nesters from Houston. They wanted to cross a safari and a visit to Victoria Falls off their bucket list. We also sent them to South Africa’s biggest cities and unique, scenic locations along the way. Their South Africa Highlights Vacation began in Cape Town, known to locals as the Mother City. They stayed at the luxurious Table Bay Hotel, ideally situated on the fashionable V&A Waterfront. During their 3-night stay, they were free to explore Cape Town at their own pace. They took the cableway up Table Mountain, took a trip to nearby Boulders Beach to see African penguins, wandered the Kirstenbosch National Botanical Gardens, and enjoyed the wonderful shopping and dining on offer mere steps from their hotel. Next on their South Africa Highlights Vacation, they traveled to Oudtshoorn, Knysna, and Port Elizabeth on the scenic Garden Route. In Knysna, they enjoyed magnificent views of the ocean and took the ferry to Featherbed Nature Reserve for a 4×4 adventure. While traveling along the Garden Route, they visited fascinating caves, made a fun stop at an ostrich farm, and visited a tropical bird sanctuary. Continuing their South Africa Highlights Vacation, they went on safari at Thanda Tented Camp. They went on game drives to search for the Big 5, enjoyed delicious communal dinners by the fire, and were treated to a traditional Zulu dance. Then, they transferred to Tinga Lodge for more safari adventures. 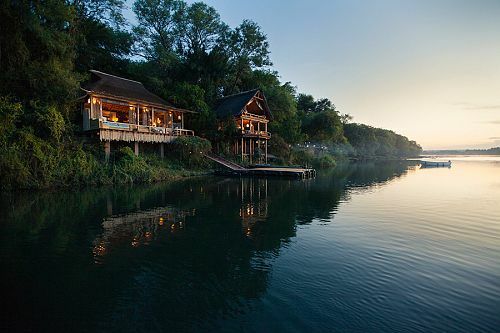 Tinga Lodge is located on the Sabie River in Kruger National Park, and their private deck commanded spectacular views of the river and its resident wildlife. 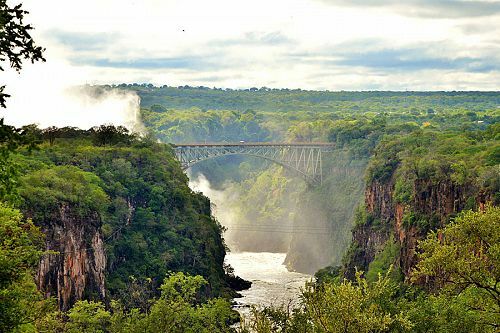 Next, they took a scenic drive to Johannesburg, where they stayed overnight before continuing on to Victoria Falls. They stayed 2 nights at the Royal Livingstone Hotel, which offers special access to Victoria Falls via a private entrance. Our clients were able to make a short walk to the Falls and get an unforgettable experience of this natural wonder. The next day, they took an exciting elephant-back safari and a helicopter flight over Victoria Falls. After an unforgettable journey, their South Africa Highlights Tour came to an end. They were flown to Johannesburg to catch their connecting flight home. Welcome to Cape Town! Upon arrival, you will be transferred to your luxury accommodations at the Table Bay Hotel on the V&A Waterfront. From this ideally located luxury hotel, you can explore all that Cape Town has to offer. The next 2 days are yours to explore Cape Town at your leisure. Ride the aerial cableway to the top of Table Mountain, tour the city, then wander the Kirstenbosch National Botanical Gardens. You can also take a day trip to tour the Cape Peninsula, visit Simon’s Town, and see penguins at Boulders Beach. Today, travel the Garden Route to Oudtshoorn. Tour the fascinating rock formations in the Cango Caves, then enjoy a delicious regional dinner before settling into your luxury accommodations. Continue on the Garden Route to the island town of Knysna, stopping en route at an ostrich farm. In Knysna, you’ll spend 2 nights at the modern and luxurious Turbine Boutique Hotel and Spa. Enjoy a delicious gourmet meal and relax in the rimflow pool. Today, take a ferry ride to Featherbed Nature Reserve and take a 4×4 tour around the reserve, enjoying unique flora and fauna and beautiful views of the ocean. Eat a fabulous buffet lunch at the Food Forest Restaurant, then explore the area at your leisure and return to your hotel in the evening. Today, you’ll make your way to Port Elizabeth. On the way, you can stop at one of the animal sanctuaries located on the Garden Route to see birds, monkeys, or elephants. Upon arrival in Port Elizabeth, head to the Boardwalk Hotel and Casino, where you’ll stay in a luxurious room with a private deck overlooking Hobie Beach. Today, enjoy an air transfer to Durban, then travel by coach to Thanda Private Game Reserve, set in South Africa’s northern Zululand. Watch for wildlife, including Africa’s Big 5, on a game drive, then return to camp for a scrumptious boma dinner by the bonfire. 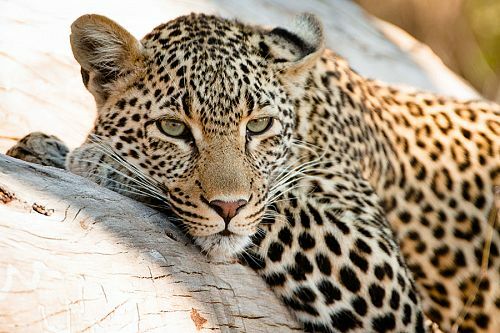 An early morning game drive gives you the chance to spot giraffes, zebras, elephants, hippos, and even leopards. Return to the lodge for a traditional South African lunch and special Zulu dance performance before heading out for an afternoon game drive and sundowners in the bush. Travel through beautiful scenery into the Kingdom of Swaziland. Visit the Swazi Candle Factory and the Ngwenya Glass Factory before arriving in Ezulwini Valley. Today, you’ll travel back to South Africa and make your way to Tinga Private Game Lodge, set on the banks of the Sabie River in Kruger National Park. 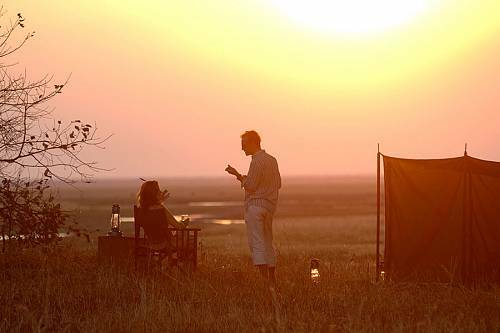 Take an evening game drive and stop at a scenic spot in the bush to enjoy a cocktail as the sun sets. 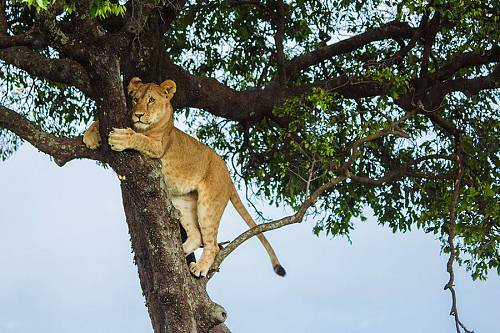 Enjoy a morning game drive to see the wildlife of Kruger at its most active. Return to the lodge and while away the hot afternoon on your private deck overlooking the river, then take another game drive or go on a bush walk for a more intimate safari experience. In the evening, you can enjoy a boma dinner or indulge in a private bush dinner. Travel along the Panorama Route to Johannesburg. On the way, stop at God’s Window for spectacular views of the lush Blyde River Canyon. 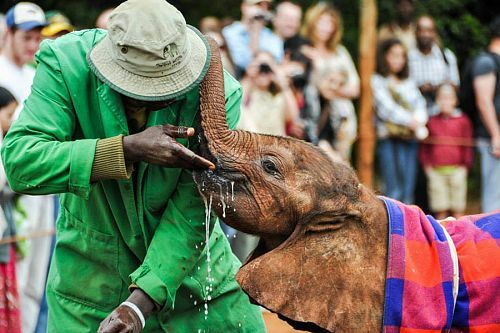 Enjoy a flight transfer to Zambia. Settle into your luxurious, colonial-style hotel on the banks of the Zambezi River and enjoy a traditional high tea. 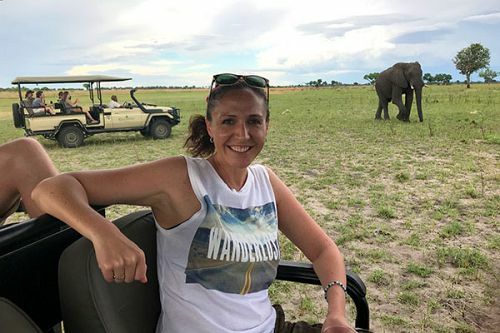 Then, take the short walk to Victoria Falls, accessible via the hotel’s private entrance, and take in the awe-inspiring sights and sounds of one of the Natural Wonders of the World. Today, experience the Falls from a fresh perspective with a unique helicopter journey or a thrilling whitewater rafting adventure on the Zambezi. You can also enjoy game drives, river or elephant-back safaris, and a cultural visit the nearby Maramba Market. Spend the rest of the day visiting the spa or looking out over the river from your private deck. Tonight, enjoy a delicious farewell dinner at the hotel. Today, you will be flown back to Johannesburg, where you’ll begin the journey home. If you are visiting Cape Town, make sure to make dinner reservations at The Test Kitchen or Pot Luck Club prior to traveling, as these can book out 6 months in advance. Seeking a once-in-a-lifetime adventure where few have gone before? 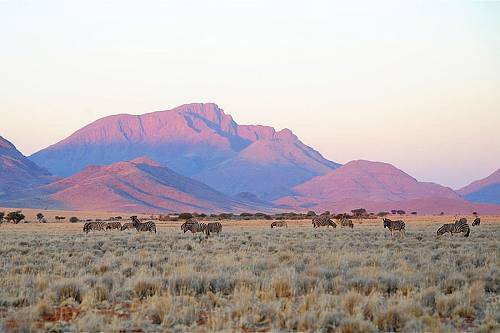 This Namibia vacation package takes you to incredible natural landscapes, each more breathtaking than the last. 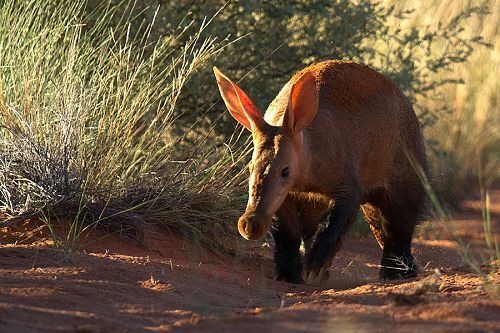 Visit Etosha National Park, Damaraland, Sossusvlei, and Wolwedans, plus enjoy a scenic flight over the desert.